Would this be okay for winding around an inductor core? I want to start experimenting with inductors but I don't want to buy a whole spool of actual magnet wire. How many amps can this wire carry? Why didn't you get the stranded version? Stranded wires are more flexible and only 45Â¢ more. I have a project outside my norm and need to push 5V DC @ 26A from the power supply. Any idea what the ampacity of this wire is or how to figure out the best wire to use? This might be regarded as a stupid question, but is the core of your hook-up wire pure copper or a copper-nickel alloy? I had ordered this a couple of years ago, and the color of the core was silvery, indicating it was probably either tinned or the latter. What is the jacket thickness of this? I do like this wire but I would like to get it with a thinner jacket and I only have this wire for a reference. I don't know what thickness the jacket on this item is, but if you want thinner jacket, go with "wrap wire" or magnet wire. Very thin insulation on those items. 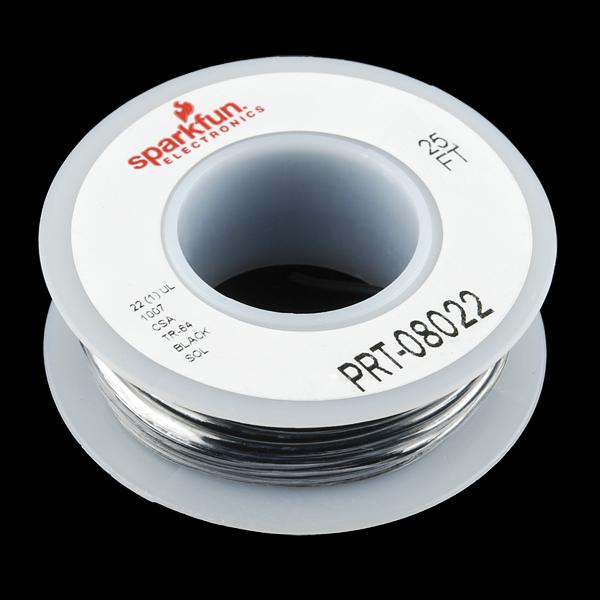 Does this wire fit in most PCB vias? Thanks. Nope, you will need AWG26-30 for most typical open vias. This will fit in most typical "test point" holes and those made for .100" headers. any other colors coming? how about bigger spools with more length? (not wider, just longer) for many projects? 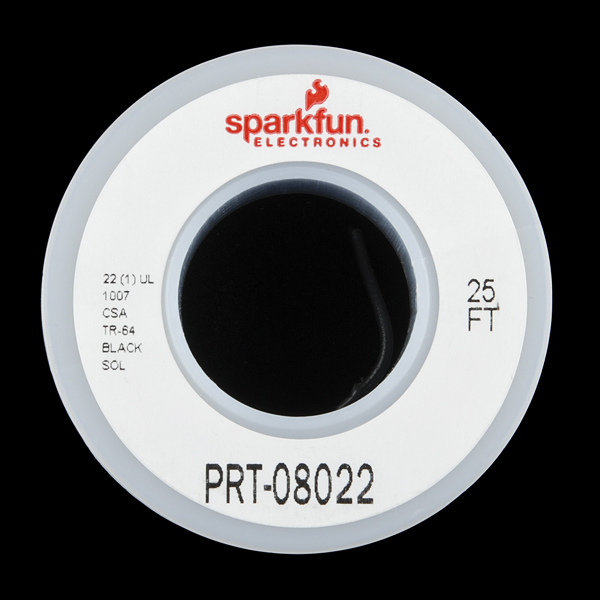 SparkFun isn't really a parts retailer (although they do sell a good selection of parts, tools, and supplies). If you're getting serious and starting to want longer lengths and more colors, it might be time to make a purchase at a place specializing in that sort of things. I bought mine at Digikey, but you can probably get a good assortment of wire cheaper elsewhere. I dont know about that, I cant find any wire at mouser thats less than 20-30 bucks for 100'. what? sure, i need solid wire only!! Is your hookup wire tinned or bare copper? It's bare copper, Also it's solid core. 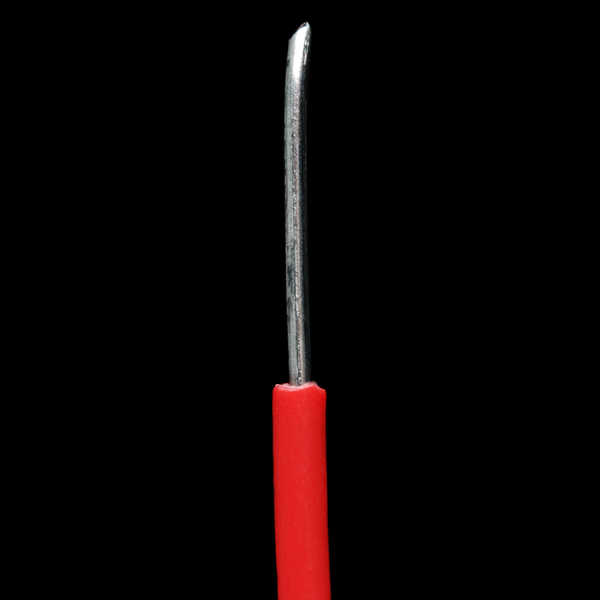 Solid core wire doesn't need to be tinned, however stranded wire does. This product is good for hooking up connections on a breadboard. I do believe that this is actually aluminum solid core, from an article i read online, and by the weight of it definitely feels like it. 11/10 would buy again.